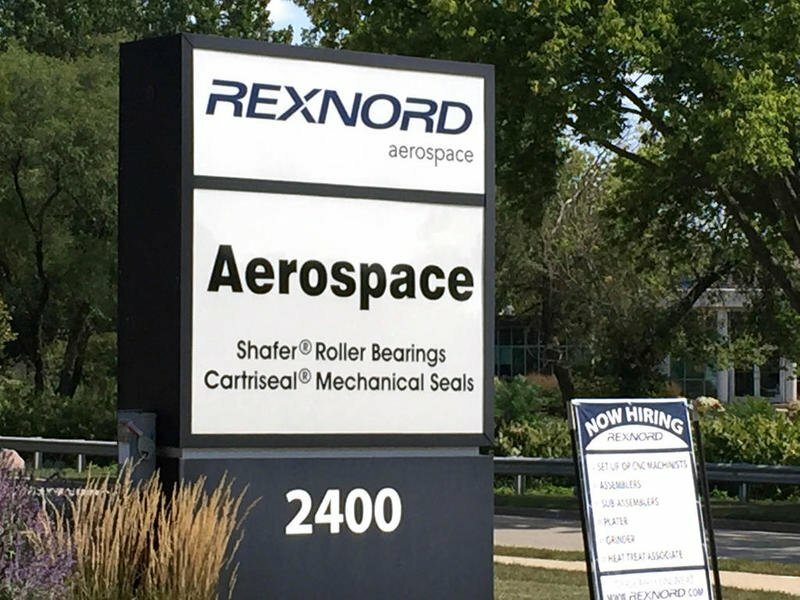 The Downers Grove Economic Development Corporation announced today that Rexnord Corporation will build a new manufacturing facility and Aerospace Headquarters in Downers Grove. Rexnord plans to redevelop its existing site at 2400 Curtiss in the Ellsworth Business Park. Downers Grove was selected for the project following a national search. Rexnord, a 125-year old company, is a multiplatform industrial leader that serves a diverse array of global markets. “We are investing in a new facility on our existing site to support the growing needs of our customers,” said Jamie Quilter, Rexnord Vice President & General Manager – Aerospace. “The new facility will provide upgraded technology and additional capacity – as well as provide our customers with an exciting experience and our associates with a unique collaborative and innovative environment. Rexnord plans to build a 248,000 sq. ft. facility for its manufacturing operations and Aerospace Headquarters. The project is expected to be completed by 2019. The DGEDC worked closely with officials from Rexnord, as well as the consulting firm that was retained for this project: Cushman & Wakefield. In addition, the Village of Downers Grove, Community High School District 99, and Downers Grove Grade School District 58, were instrumental in the attraction of this project.